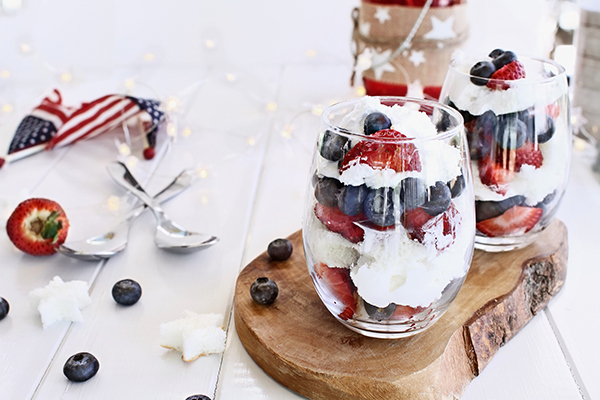 No Independence Day is complete without a few red, white, and blue treats! Celebrate America’s birthday with some of the patriotic recipes below. They’re all easy to make and will make your partygoers “ooh” and “ahh” almost as much as they will over the fireworks! No recipe needed for this one! It can be as big or as small as fits your gathering. 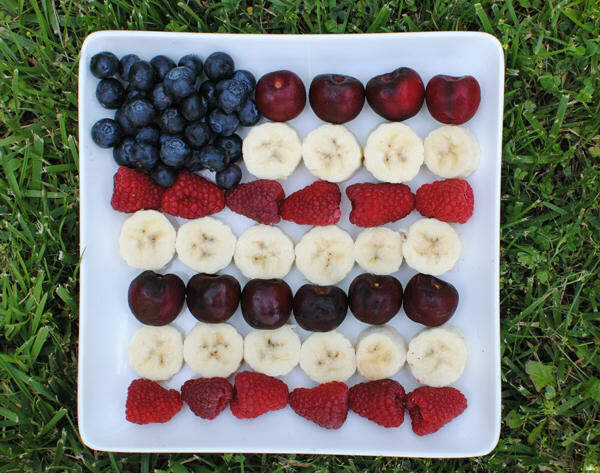 Take your favorite red fruits and use those, along with blueberries and banana, to create an edible version of the American flag. We picked cherries and raspberries for the version below, but you can use watermelon, strawberries, grapes, or even goji berries if you’re feeling super fancy. 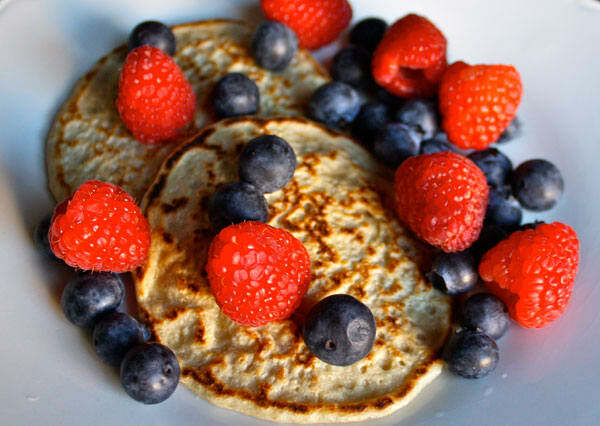 Kick off the 4th of July with this healthy pancake recipe that’s a simple and tasty way to get protein into your breakfast. Get the recipe. 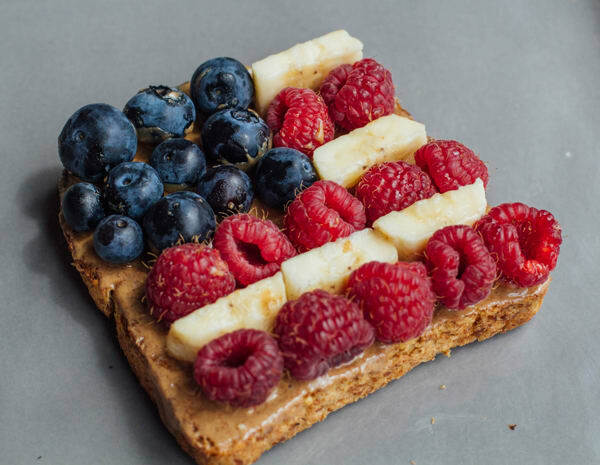 Here’s a cute breakfast or snack idea: Take a piece of whole-grain toast, spread your favorite nut butter on top, and add some berries to create a flag. Get the recipe. 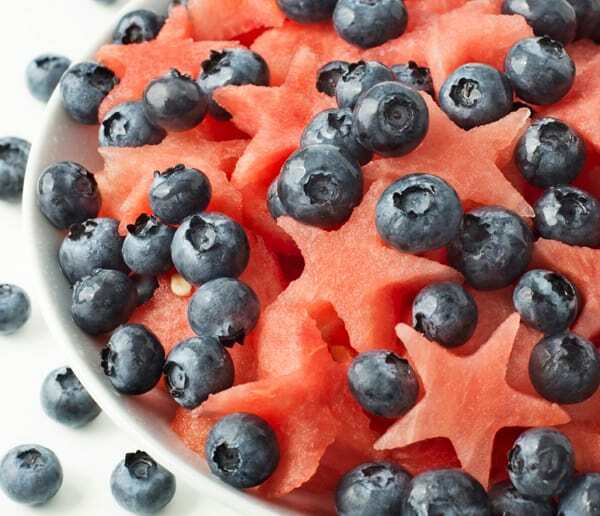 This salad is so easy to make — simply cut watermelon into stars with a cookie cutter and toss in some blueberries — but partygoers will love its holiday spirit. Get the recipe. You know it wouldn’t be a holiday at Beachbody without Shakeology. 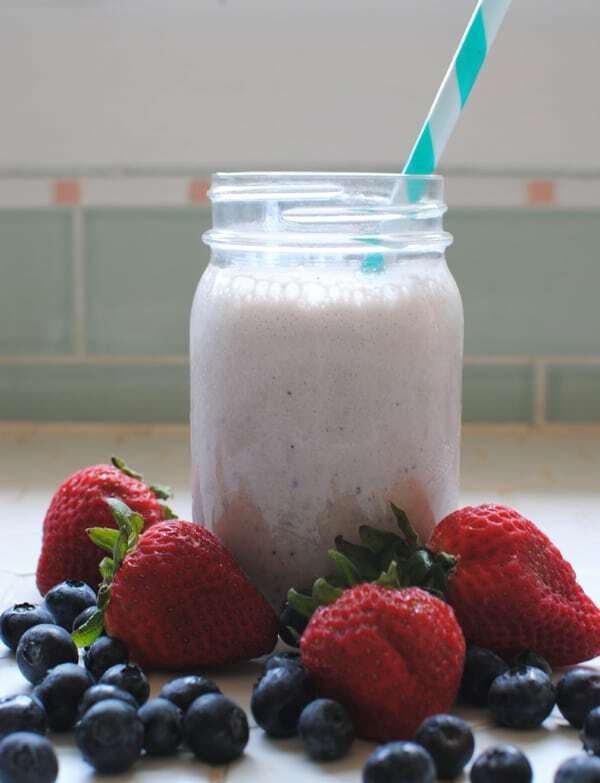 Here’s one of our favorites: A shake that combines Vanilla Shakeology with strawberries, banana, and milk (or a milk alternative). Get the recipe. Kids will love these — just make sure they don’t run with the sticks! 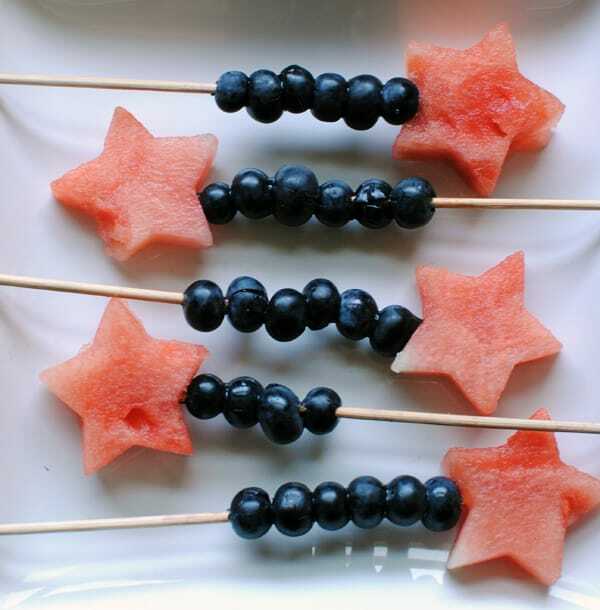 These festive snacks are fun to make and you can toss the extra watermelon into a fruit salad of its own, like the Star-Spangled Fruit Salad. Get the recipe. If you’re road tripping this 4th of July, it might be tempting to hit the drive-thru for a fast-food dessert, but our version contains fewer carbs, less sugar, and plenty of fiber and protein. Bonus? This Red, White, and Blueberry Parfait uses only ½ teaspoon of raw honey as an added sweetener. Get the recipe.